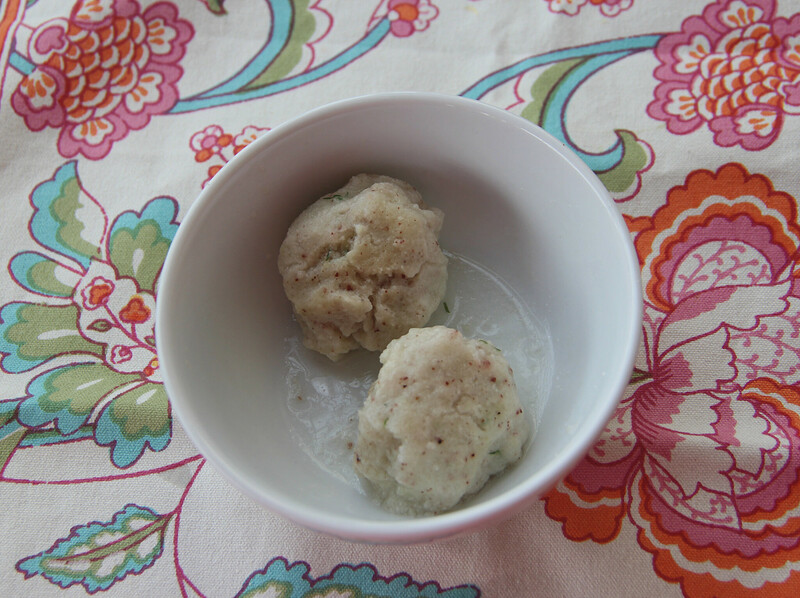 Matzo balls are a favorite at Passover and any time of the year. But what to do if you are gluten-free and can’t have regular matzo or matzo meal, let alone matzo balls? 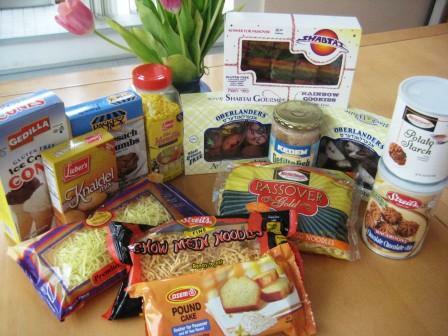 While some gluten-free matzo ball mixes are available for Passover (my favorite is Lieber’s knaidel mix), they can be hard to find. Inspired by German potato dumplings, this recipe uses potatoes, potato starch and almond meal to make fluffy matzo balls — without the matzo. The result is gluten-free, non-gebrokts knaidlach that are fluffy on the outside, while slightly dense on the inside. Make sure to plan out this recipe in advance, as you’ll need to refrigerate the boiled potatoes ahead of time. A potato ricer works well here to finely shred the cooked potatoes, but you can mash them well by hand instead. When boiling the matzo balls, do so at a light boil, so vigorous bubbling won’t break up the delicate matzo balls. While you can make the batter ahead of time and keep it in the refrigerator, the matzo balls are best cooked close to serving time. 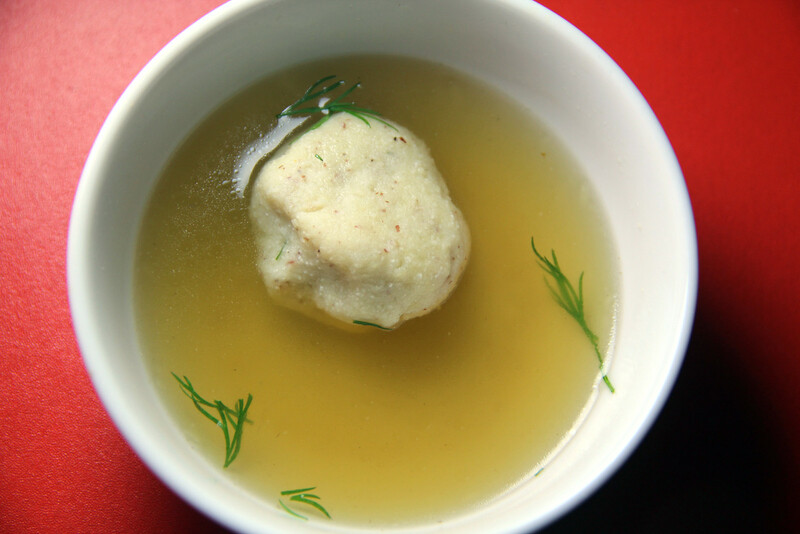 This gluten-free matzo ball recipe is also featured on Joy of Kosher, a great resource for kosher recipes. Boil potatoes in salted water until tender and a fork can pierce the potatoes easily, about 20 minutes. Drain, return to the warm pot (no longer on the heat) and steam off any extra moisture for about 5 minutes. Peel potatoes and refrigerate for at least two hours in an open bowl. Press potatoes through a potato ricer or mash them well, so there are no lumps. Measure 1 cup (packed) riced potatoes and place in a large bowl (save the remainder for another use). Add eggs, almond meal, potato starch, oil, dill, salt, baking soda, garlic powder and pepper. Mix well and refrigerate the mixture for at least 30 minutes. When ready to cook, bring a large pot of salted water to boil. Wet hands well with water to gently form walnut-sized balls of dough. Gently drop balls in water and cover the pot. Cook in lightly boiling water (not too vigorous, or it will break up the matzo balls) for about 35 minutes. Remove matzo balls with a slotted spoon.